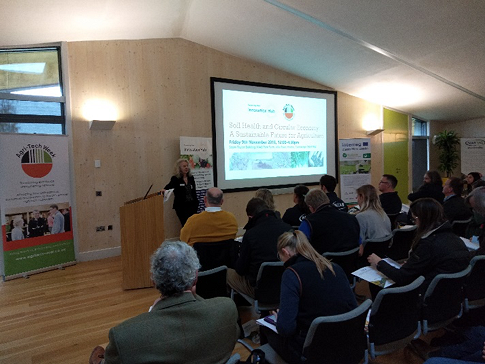 At partner in the BioBoost project NIAB in Cambridge UK, the yearly Agri-Tech week took place from 5-9 November with on 9 November the seminar “Soil Health and Circular Economy: A Sustainable Future for Agriculture”. Different methods of assessing, improving and maintaining soil health were discussed at this event. The event aimed at industry research and growers in horticulture and agriculture.